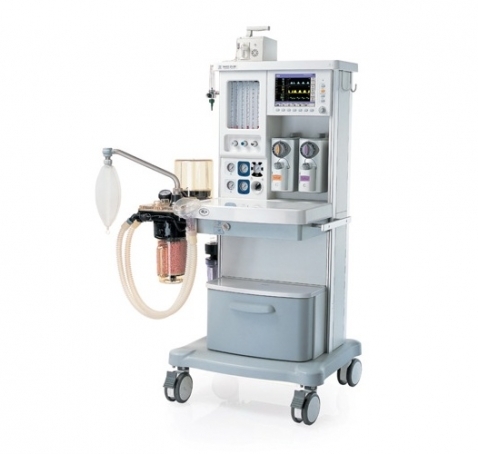 The WATO EX-30/20 Series of anesthesia machines are suitable for general anesthesia in a wide range of operating theatre patients from children to adults. With stable function, advanced safety design, reliable performance and user-friendly interface, the WATO gives clinical users basic monitoring measurements on a colorful LCD screen with up to 3 waveforms, including Paw, TVe, MV, Ppeak, and Pmean, with graphs of pressure and flow at the same time. Except basic ventilation modes, WATO still offers advanced modes such as SIMV applicable for spontaneous breathing of patients. The powerful data review supports 24-hour trends for alarm events. Besides the integrated monitoring parameters, WATO also provides external monitoring covering sidestream of EtCO2. Click the button below to add the Mindray WATO EX-30/20 Anesthesia Machine to your wish list.